From Finland to Wigan, via Cyprus and Preston – it's a long journey, but one which helped programme graduate Riku Jokela secure an internship role with one of the UK's top sports clubs. Whilst studying International Business at Vaasa University of Applied Sciences (VAMK) in Finland, Riku joined an exchange programme to Cyprus which enabled him to add some Sports Business qualifications to his CV. Riku said: "I realised the combination of sports and business would be a match made in heaven for me, as sports had always played an important role in my life. "I applied for four Universities in the UK, but had the feeling that UCLan would be the best option for my Master's as the course focused on sports marketing. "In addition, an active communication from the course leader played a pivotal role and I felt like I was really wanted on board. The course was fantastic with interesting modules which put emphasis on the fundamental aspects of sports marketing, professional development and strategic thinking for sports managers. "The tutors were always there for us - whenever I had any questions they always had time to have a little chat with me. I particularly enjoyed the Consultancy Project module which enables students to make a difference in a real-life context. "The course was really intensive and challenging, but eventually I was able to create a clear study plan which resulted in great academic results. I feel I became much more determined and disciplined, as I was also working at Wigan Warriors twice a week which was not always easy as I was a full-time student at the same time." Riku has worked as a Marketing Coordinator for the Warriors since December 2013 and is currently overseeing a project which aims to enhance the value of season tickets. He is looking to establish partnerships with local businesses and is trying to find ways to reward Warriors' loyal season ticket holders. He added: "I was honoured when I got an opportunity to work at one of the biggest sports club in England. Working here has given me a deep insight into what it actually takes to work at a big, successful sports organisation. "It has been such a great experience to see how things are planned and carried out in practice. I've tried to learn as much as possible from my bosses and everyone who works at the Club. In addition, working at matchdays has opened my eyes in terms of seeing how many things are going on and how carefully Super League home matches are planned in advance. "I hope I'm able to find a good job after having graduated from UCLan. 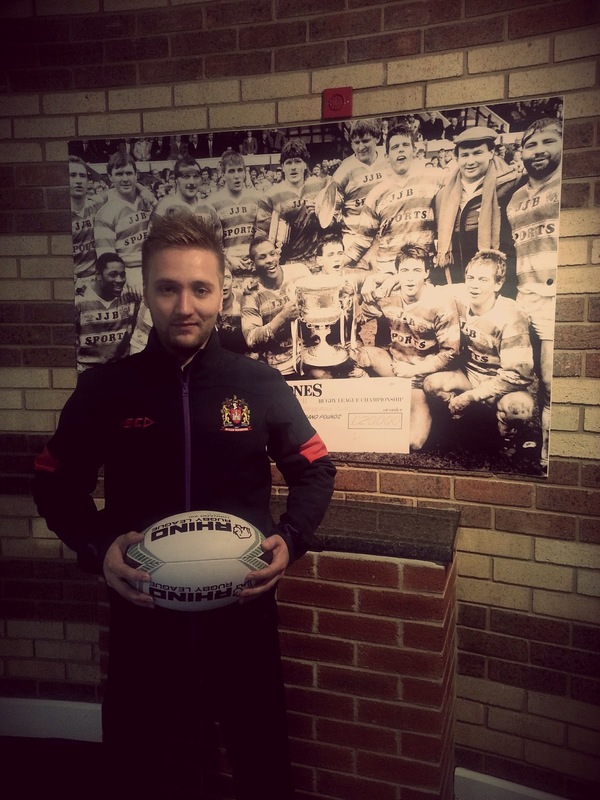 The combination of my Master's and experience at Wigan Warriors will hopefully open many doors in the future. I'm constantly monitoring job prospects and I'm willing to go to work anywhere in the world. I'm convinced there might be some good opportunities for me in Finland, as you basically cannot study sports marketing there. "I really enjoyed my Master's studies at UCLan. 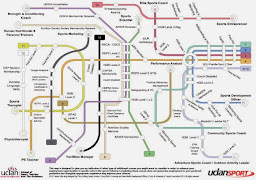 The campus is a really great one and there are some fantastic opportunities for students, such as UCLan Sports Arena or Sir Tom Finney Sports Centre."